Stef fully focussed and ripping it up in Germany. 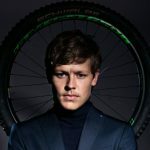 After a disappointing result at the SA National Champs, STEF GARLICKI focussed on his next event in the German Cup. Read about what went down during the muddy race. Life is not a smooth road, it’s rough and rocky with a few curve balls thrown in. Dealing with failure is just part of the deal and how you handle it can have a huge impact on the future. People say you learn the most when you lose and not when you win and I couldn’t agree more. A few weeks ago, we had the 2017 SA national championships which was held at Mankele bike park close to Sabie. I was coming into the event having won it two years in a row and felt that I could do it again. Long story short, I ended up crashing in my race run and finished second. I was devastated knowing that I threw it away and lost the sleeve. However, I really focused on taking the positives out of it and putting it behind me as I knew that in order to ride well you can’t dwell on the past. Now anyone will tell you that this is no easy task when you put so much dedication into something and then fail … it’s extremely tough to deal with mentally. 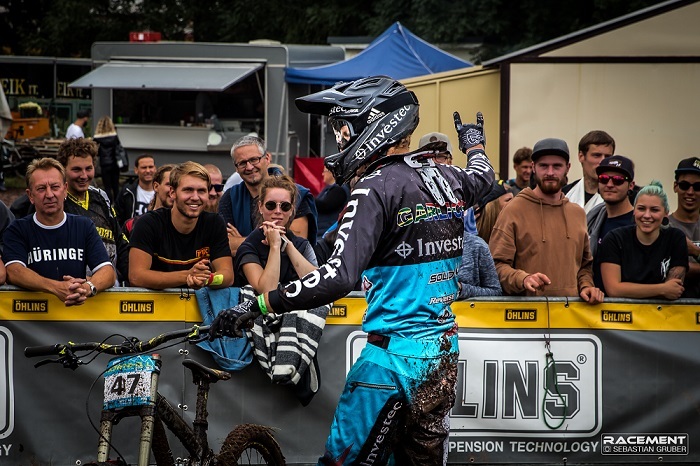 This brings us to the present, I am in Germany and just raced the fourth round of the IXS German Cup series and here is how things went … I arrived on the Friday morning for practice and the weather was dismal! Pouring rain and mud greeted us and looked to stay with us all weekend. I did not do a track walk as it was long hike in the pouring rain so I decided against it as it was a short track. The next issue was the shuttle which was extremely slow and meant I would only get three runs on Friday, four on Saturday and 3three on Sunday which included seeding and race runs! The track was not too steep but was filled with roots and due to the conditions, it was tough to keep it together for a full run. 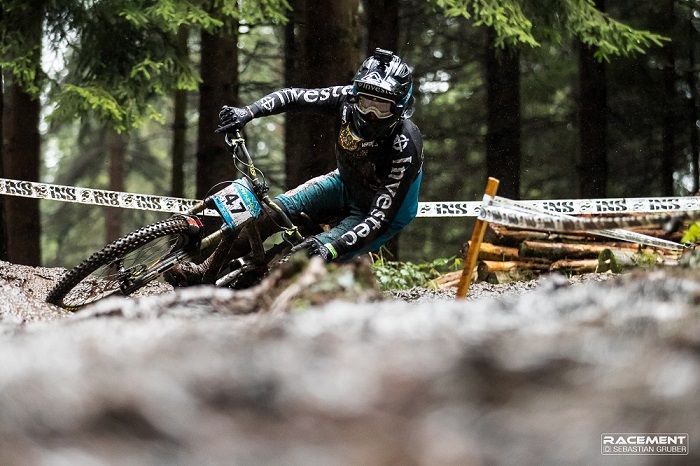 This was the wettest race I had done in a couple of years but man oh man, was I having fun, actually the most fun I have had riding ALL YEAR! In my seeding run I had no expectations as I had only done six runs on a track that I did not know and most of the others had raced there before. I also made a huge mistake in my run which cost me around four seconds but I was pleasantly surprised when I seeded second, just 0,7s off the lead! This gave me some confidence but also added pressure as I knew I could win but needed to hold it together the next day when it counted! I had a great practice in the morning of race day and in my mind, I visualized going 10 seconds faster than my seeding run. I really believed I could go 10 seconds faster with the right run BUT due to the unpredictable conditions I knew it would be tough to hold it together. However, in the start gate I had a feeling that I can’t describe, it was almost as if I knew I was going to do it before it happened. At the finish line after he won the race.